“In no other part of the world are found so many pyramids as in Mexico and Central America. And in every pyramid, whether Maya, Aztec or Toltec, the symbols of the feathered serpent and the jaguar will invariably be found. The pyramids were not, as is maintained by most archaeologists, simply temples, tombs or monuments, the structures were used as stages for the playing out of cosmic rituals designed to convey deep meaning and truth. The Spanish “conquest” of the region took place when the “witch hunters” of the Catholic Inquisition held sway over policy, and colonial authorities did everything possible to suppress the indigenous Mayan culture and impose their own brand of Christianity. Against all odds, the hermetic Achí-Maya cofradía brotherhood kept the dance alive as an underground clandestine tradition during centuries of oppression until 1855, when French priest Brasseur de Bourbourg translated a version spoken to him by Elder Bartolo Sis in Achí language. In his introduction Elder Sis affirms that a physical manuscript had been passed down through the generations—but the whereabouts of that original manuscript remains a mystery still today. The Maya elders learned a hard lesson from the 16th century Catholic book burners and since that time every original manuscript has been hidden in secret caves and hermetic safehouses awaiting the prophesied day of the inevitable Mayan resurgence. 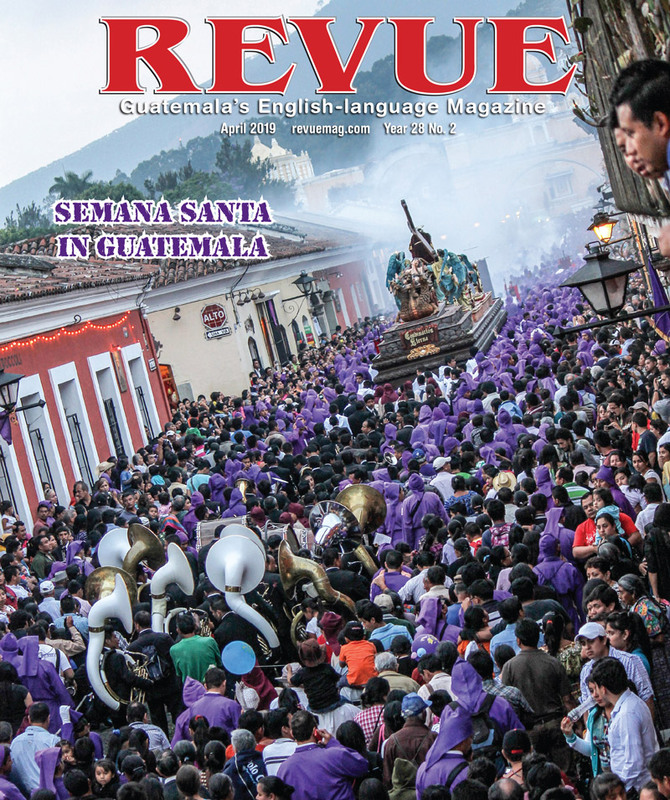 Some believe that this Mayan cultural renaissance will begin this month on Dec.
21, when much will be revealed. I am not the only one who has suspected that entire libraries of ancient Mayan books have been kept in secret caches safe from pillaging priests, amateur archaeologists, collectors and other assorted thieves of non-Mayan origin. Mayan culture has been oppressed, but never destroyed. The Maya will rise again! Friar Bourboug persuaded the rabinal elders to perform the Rab’inal Achí in its entirety during the month of January 1856. It is recorded that the dance went on for 12 days! This was the first time it had been performed in public since the Spanish invasion. Since then, and as a kind of compromise with the church, the dances have been performed on Jan. 25, the feast day of St. Paul, Rabinal’s patron saint. The narrative is performed by a crew of 21 masked dancers in four acts and deals with a conflict between two major political rivals in the region, the Rabinaleb’ and the K’iche’. Its rhythms, the rhetorical figures and the composition of the text as a whole reflect a unique poetic continuity. The audience experiences interrelations between man and nature, and man and cosmos, as conceptualized in a unique theatrical expression. 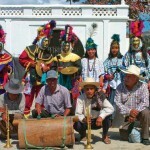 The music is performed by three elders playing trumpets, cymbals and drums. The rhythms and harmonies are complex with continuously changing variations and improvisations of diverse themes. 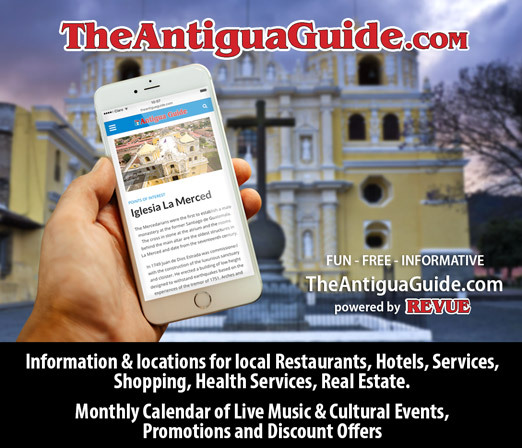 The effect is that of a kaleidoscopic, dreamlike journey into an ancient and exotic world that existed long before the region became “Latin America.” The main characters are two princes, the Rab’inal Achí and the K’iche Achí. The word “achí” means warrior. The other characters are the king of Rabinaleb’, Lord Ojob’Toj; and his servant, Achij Mun Achij Mun Ixoq Mun, who has both male and female traits; the green-feathered mother, Uchuch Q’uq’ Uchuch Raxon; and 13 eagles and 13 jaguars, who represent the warriors of the fortress of Kajyub’. In the first act, the Achí of K’iche’ challenges Lord Ojob’ Toj of Rab’inal to come out of his fortress. It is here that the Warrior of Rab’inal intervenes and the two lords engage in a fight. K’iche’ Achí is captured and put on trial for having attempted to steal the queen of Rabinaleb’s children, a grave violation of Mayan law. In the second act, the Warrior of Rab’inal enters the palace inside the fortress of Lord Ojob’ Toj to announce the capture of the Warrior of K’iche’. In the third act, the Warrior of Rab’inal returns to the captured and bound Warrior of K’iche’ to tell him about the response of Lord Ojob’ Toj. In the fourth and final act, the Warrior of K’iche’ is brought into the palace of Lord Ojob’ Toj, where after an interrogation he obtains certain lordly and warrior-related privileges. Having eaten well and being intoxicated from the magical beverages he took, he dances three dances, including one with the princess of Rab’inal, the last one of which is a dance in which he tests the agility of the Eagle and Jaguar factions of the Rab’inal warriors. The final act terminates with the Warrior of K’iche’ being tied to a tree and executed by way of arrows, shot at him by the Eagle and Jaguar warriors of the kingdom of Rab’inal. 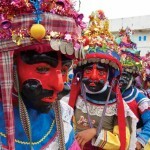 By taking part in the dance, the living make contact with the dead, the rajawales, ancestors represented by masks. 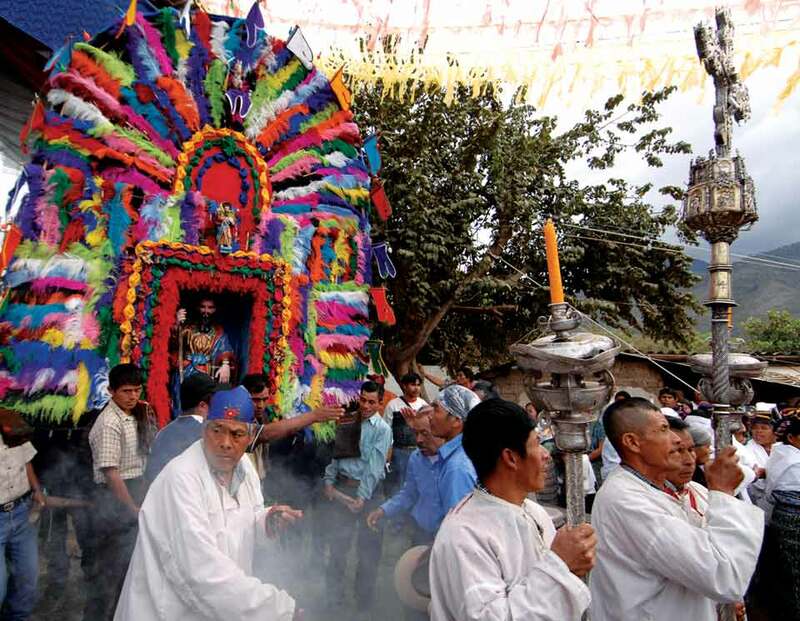 For the Achí-Maya people of modern-day Rabinal, reliving the traditions of their ancestors is much more than simply perpetuating their heritage from the past, it is also a vision of the future. 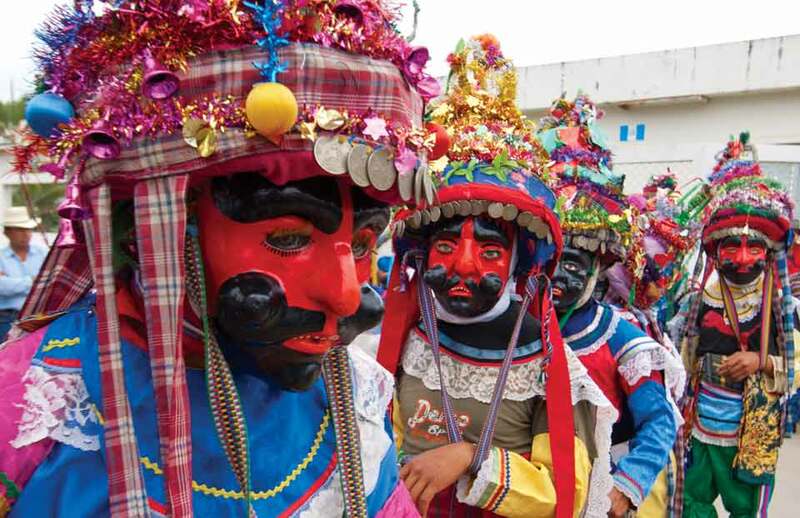 The Rab’inal Achí tradition was seriously disrupted during Guatemala’s decades-long civil war. 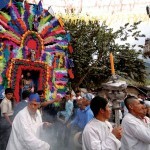 But eventually peace returned to the Verapaz region and a major cultural revival has taken hold among Achí-Maya. The Rab’inal Achí is the one of the only surviving indigenous cultural texts remaining uncontaminated by European influence. The people of Rabinal are very welcoming to visitors and are very proud to share with all people the cultural treasure that they have faithfully preserved over the centuries. 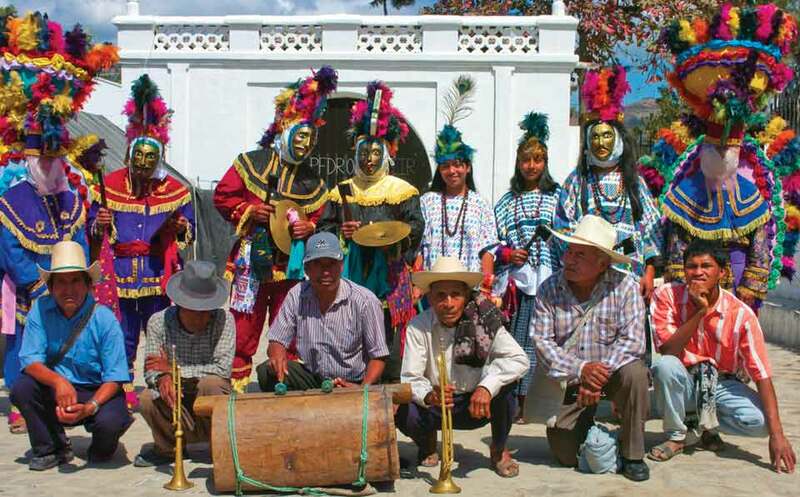 For anyone seriously interested in experiencing authentic Guatemalan indigenous culture, the Rabinal Achí Dance Festival is the place to be in January, as we embark upon the beginning of the new Mayan era. Rab’inal Achí was declared a Masterpiece of the Oral and Intangible Heritage of Humanity by UNESCO on Nov. 25, 2005.